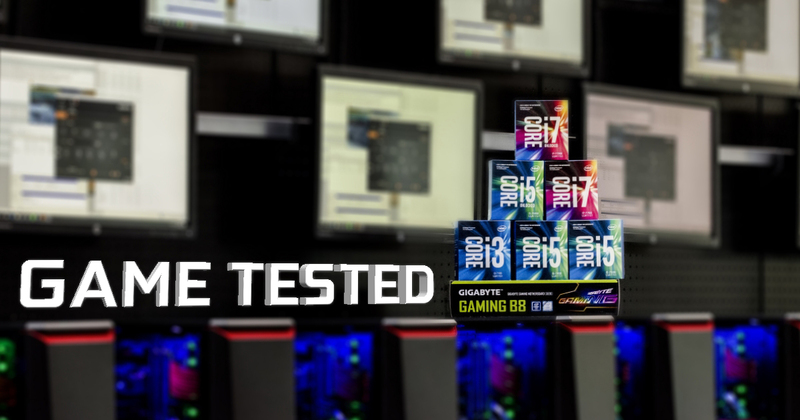 Good Gaming CPU – Intel Kaby Lake Game Tested! Of course when you throw a much heavier game at the CPU with no Graphics Card supporting things it gets a lot tougher! Below is a quick test playing Overwatch with just the i5-6400 CPU and while it’s still very playable we’ve had to turn down all of the beautiful graphics settings and we still couldn’t quite get to our 60FPS 1080P target – got pretty close though! When we hit League of Legends with the Skylake i5-6400 things really started looking good, we were pretty amazed to see LOL running so beautifully and we managed to get into a nice brawl in the bottom lane for the capture, settings wise we’ll show them at the end of every video – this is Character Detail: Very High, Environment Quality: Very High, Effects Quality: High and Shadows: Medium and in the clip you’ll see the FPS dip slightly below 60FPS – this provides us with a nice comparison point as we move into the tests with the new Kaby Lakes! All of the Kaby Lake CPU we’ll be testing for this blog are packing integrated graphics known as Intel HD Graphics 630 series so we don’t expect too much swing between the quad core i5 and the i7, what’s going to be really interesting is see how things go with the new dual core unlocked i3-7350K so let’s get started there! Rounding up the tests we move our way through the new i7 range, as expected performance in game was very similar to the i5 above although again the peak FPS did reach just that little bit higher, it would be very hard to spot this in game though as once the action starts up both do really well. We played a few extra matches with these ones just to double check the shadows quality settings couldn’t be pushed to max and in most cases it can, however in the bigger team fights (especially around bases or big rift beasts) fps can dip very slightly under 60 with the shadows higher than in the gameplay FPS test below and as we like to turn V-Sync on usually keeping everything above 60 is the goal! 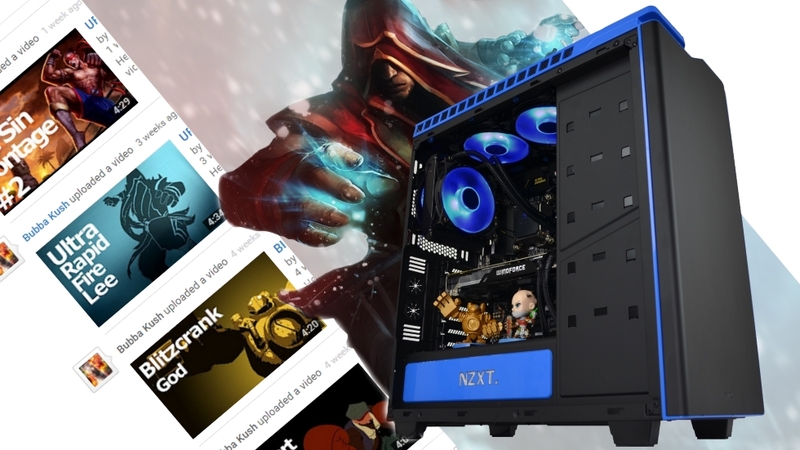 So what’s the verdict with Kaby Lake? It’s GOOD! Once you hit those sweet Kaby Lake i5 things get really good, the quad cores pushed out some fantastic performance right through from the i5-7400 all the way up to the i5-7600K – These are pretty great really and going forward GGPC will be using them for most of our Gaming PC designs. If you’re going with the i7 series you’ll still notice a difference in game, but it’s harder to spot vs the difference between the i3 & i5. As with our eSports Skylake builds we’ll likely be using these ones in special gaming PC designed to stream gameplay via Twitch, XSplit and YouTube 🙂 Even these super powerful CPU have a little trouble when it comes to shadows, but hey – graphics cards gotta have something to do right! We’ll continue to update this blog as we learn new things and get our hands on our own i3-7350K for potentially destructive max OC check 😛 Lots of fun times ahead so be sure to keep your eyes on the GGPC Computers Blog for the latest! Good Gaming – ONE FOR ALL LEE SIN! Bubba Kush is at it again with another killer montage to check out with some insane Lee Sin plays from League of Legends! Until then, enjoy some sweet sweet gameplay below! Good Gaming – Battlerite FREE WEEKEND incoming! UPDATE: Battlerite is available as early access on Steam right now but this weekend it opens up and we can all play free! An action-packed Team Arena Brawler focused on competitive combat. Fight side by side with teammates to the sound of the roaring crowd in vibrant, colosseum surroundings. The game itself is a little bit like League of Legends and Smite but without the lanes and creeps so the focus is purely on fast paced PvP matches with a range of champions that have different strengths and abilities. There are 15 champions available currently and these provide players jumping in with a decent split of melee, ranged and support to play with. Once in matches it’s all about timing and precision where predictability leads to punishment. Each battle is a race to win three rounds, the rounds are generally pretty fast paced, usually over in around 1 minute – to ensure an entertaining fight a force field will start to move inwards pushing the players in together for a final clash in the center of the arena. Next we moved tests onto the new GTX 1060 Gaming Laptop to see how good things would be with this latest generation of mobile hardware. Battlerite matches were starting to get tougher as we increased in rank and now a more tactical approach was needed to win each round, playing as Varesh our roll was to debuff enemies while shielding allies against incoming damage and the GTX1060 + i7-6700HQ config was able to keep above 60FPS even during these most intense moments. Good Gaming NZ – Bubba Kush Lee Sin Mini Montage! More League of Legends awesomeness with a new mini montage from NZ gamer Bubba Kush, this is just a quick snippet from some excellent new gameplay he’s working on right now and from the looks of this latest teaser – things are looking good! Bubba’s main champion is Lee Sin – The Blind Monk and, as with many League of Legends characters there is quite a bit of lore behind this guy and some of it’s pretty brutal! The League of Legends Oceanic Pro League (OPL) is nearly coming to an end with the Grand Final taking place in Australia later this month, but you don’t have to fly all the way to Australia to enjoy the event. 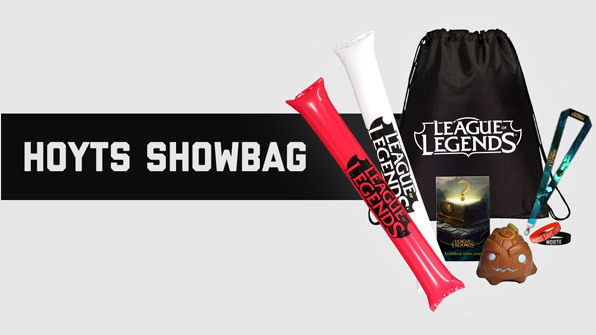 HOYTS will also be screening the OPL Finals in a couple of theatres across New Zealand so you can watch the action on the big screen 🙂 Another cool bonus if you’re attending one of these showings is that you can also grab an awesome showbag at the event! These special showings are when Oceania’s champion is crowned so that they can progress to Worlds Qualifications. Hey guys just working on a new series “Be Advised” which is just my insights and tips on certain moves for Lee Sin and how to perform them easier or get to be more confident. I’ll be live streaming this Friday 6PM (New Zealand Time) on the new Bubba Kush Twitch Channel. Wardjumping: Ward jumping is something that you have to practice, find which buttons feel the best with you, for example I use 4 for wards. I would encourage you bros to NOT use macros, shouldn’t need macros for pressing 2 buttons. Kick-Flash: The kickflash is one of my favourites, this took me sooo long to get the hang of, all you need to do is practice and get used to the feels of angling the kick and when to execute it. Of course you will fail a lot, I fail kick flash a lot, its not something you land every time because you will fail it some times but that’s all progress of learning the kick flash. I will go into depth in my actual guide.